Flicka is around 14.2-15 hands tall. Very nicely put together. Will be started under saddle this Summer 2014. 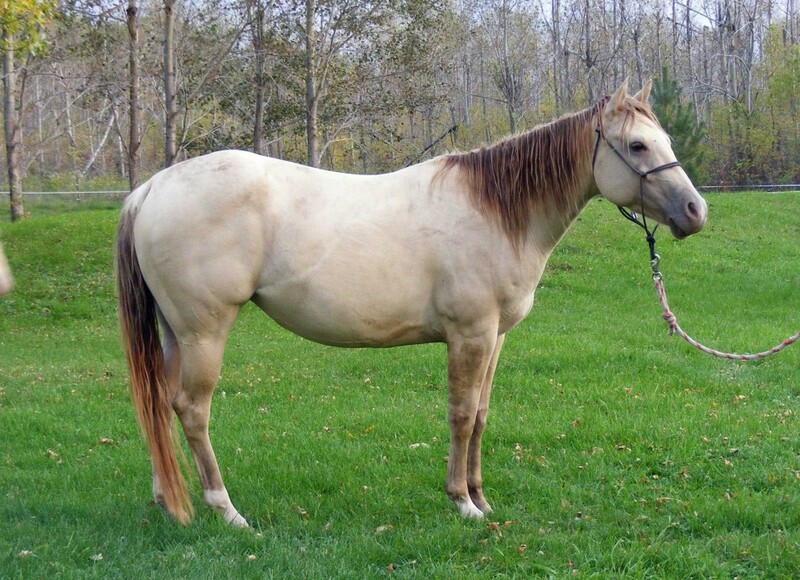 She will also be bred to our Sunfrost Bay stud for a 2015 foal! Very excited about this cross! Star and strip. Strip and snip. Fore pastern white. Hind pastern white. No other markings.